Louis Stokes, age 90, died on Tuesday at his home in Cleveland, Ohio. As well-deserved obituaries are reporting, he was a World War II veteran, a lawyer, a civil rights champion, an African-American trailblazer, a Member of Congress for thirty years, and a great humanitarian. To read more about Louis Stokes’s great life, here are links to stories in The Cleveland Plain Dealer (here and here, and also follow the additional links therein, and here is the image of today’s Plain Dealer front page, which is almost entirely a photograph of Rep. Stokes), The Washington Post (here) and The New York Times (here). 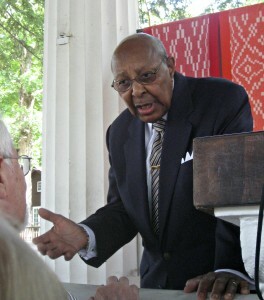 I had the good fortune to know Louis Stokes a little bit over the past decade-plus. We met in 1998, when he participated in a St. John’s law school conference on the 30th anniversary of the Supreme Court’s 1968 landmark decision, Terry v. Ohio, which upheld the constitutionality of, while also applying constitutional limits to, police stops and frisks. Louis Stokes had been John Terry’s lawyer. Beginning in late 1963, Stokes, then one of Cleveland’s foremost criminal defense lawyers, represented Terry and another man who were charged with illegally carrying concealed weapons after they were stopped and frisked, resulting in their guns being detected and seized, by a Cleveland police officer. Stokes ably represented the men at trial and on appeal, including before the Supreme Court of the United States. 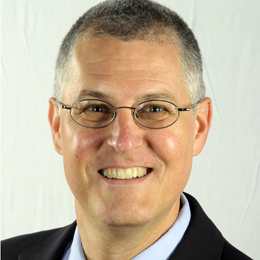 To listen to his oral argument in Terry v. Ohio, click here. To read his 1998 reflections on the case and the Court’s decision, adverse to his client John Terry, click here: Stokes 72StJohnsLRev727. Through our contacts, I learned that Louis Stokes was not merely a brave pioneer, a great lawyer and a dedicated public servant. He also was a generous, engaging, unpretentious and very kind person. He was, in all respects, a hero. I’m one of millions mourning his loss and giving thanks for his life and example. 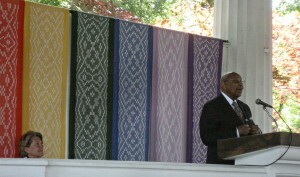 July 4, 2008: Louis Stokes speaking at Chautauqua Institution. This entry was posted in Uncategorized and tagged 4th Amendment, Chautauqua Institution, Cleveland, Louis Stokes, St. John's University School of Law, Supreme Court, Terry v. Ohio on August 20, 2015 by jqb.